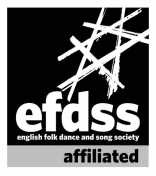 English Folk Dance and Song Society for all interested in traditional folk dance, song or traditions. Set and Turn Single, the listing magazine for folk dancers. Elements of English Country Dance details many of the movements in Folk Dancing. The Round. Dance and Music Resources give detailed instruction on numerous dances.